It’s Santé Bon Viveur’s 1st blogging birthday!! It’s been a whole year since – with massive trepidation – I first pressed the ‘Publish’ button and sent a blog post out into the world. I wanted to say a huge ‘thank you’ to everyone who’s supported me this year – by following, reading, sharing, and commenting on this blog, and by trying out my recipes and giving feedback. And I couldn’t let this milestone go by without marking it with a round-up of the year. So here’s some highlights and successes; some things I’ve learned; some info about Santé Bon Viveur’s readership; plus some handy links to everything I’ve published so far, organised by category. You follow me for one type of post – maybe low-carb recipes, or travel writing – and you want to find links to everything in that category, simply listed in one place. If you’re a new blogger – or thinking about becoming one, or setting up some other website – and want to hear about some of the challenges I’ve overcome, and new things I’ve had to learn, in my first year. If you’ve got any feedback at all for me from the past year – about things you’ve enjoyed, or hated, or anything else – then I’d be so grateful if you would tell me in the comments! Or #BlogWins as they’re known on social media! People from an amazing 124 different countries have read Santé Bon Viveur! 42% of SBV’s website hits have been from the US, and 31% from the UK. Over the year, Santé Bon Viveur’s monthly views have grown 800%. They grew 500% in March 2018, and since then, are on track to have grown another 62% in May 2018. I won a photography competition in Sicily with one of my blog photos! Blogging has led me to meeting some fabulous people; having some fabulous collaborations; doing some fabulous things; and having some fabulous experiences – all of which wouldn’t have happened otherwise! I’ve been humbled to receive some wonderful positive feedback – from people who’ve made my recipes; from fellow bloggers I respect like Padre at Padre’s Ramblings; and from collaborators in the food and travel world. In May 2018 I was delighted to win a photography competition in Sicily with this photo of the Trapani Easter Misteri Procession! Top 20 Most Popular Blog Posts! These are my top 20 most-read blog posts of the year! It doesn’t necessarily mean these posts are my best ones – although many of them are. But what it does mean is that I found the readership for them – or the readership found me. Over the year, people from an incredible 124 different countries have read Santé Bon Viveur! I couldn’t even have dreamt of that a year ago! It’s no surprise to find that English-speaking countries make up most of SBV’s readership. It’s also no surprise that Vietnam and Italy are in the top 10, as I’ve written about them several times. But Germany and Singapore are interesting surprises. People in an incredible 124 different countries have looked at Santé Bon Viveur in its 1st year! The biggest readership – 42% of the total – is from the US, with the UK in second place with 31%. Thanks so much guys! If you’re a new solo blogger, or setting up your own website, it can be a steep learning curve. You will be learning, and making mistakes, on the job, and sometimes in view of your readers. So I hope you might find useful some of my reflections and tips from my 1st year of blogging. I’ve done loads of digital upskilling! This includes now knowing how to set up and run my own wordpress.com website, and add and use plugin software. And I’ve learned some html so I can manipulate my website, and how to use Mailchimp to send out more professional newsletters. I’ve taught myself all this through research, reading, practice, and the odd support call. So you can too! Still on the digital theme here. Improving your social media, having a social media strategy, and understanding the platform algorithms, are a must if you’re a blogger or other small publisher with an interest in increasing your readership. And so is learning Search Engine Optimisation. I’ve been concentrating on these a lot in recent months. My own experience underscores the power that both Facebook and Google have over your website traffic, and your ability to find your readership. Together, they’ve accounted for nearly 80% of Santé Bon Viveur’s traffic in its 1st year. Pinterest is also important to focus on for growth. So learn to use all of these to your advantage! And a big lesson is to stop caring about social media ‘vanity’ likes! Make sure you pursue social media engagement that is meaningful and useful. A career in UK government didn’t give me much of an outlet for using my artistic creativity. But now it’s out of its box, and I love it! I create entirely myself 95% of the images on Santé Bon Viveur. I’ve learned loads more about the technicalities of photography and photo editing – which has improved my images no end! And I now know how to present them to best effect using iPad graphic design apps. And always a keen cook, I now love the opportunity and challenge of creating, testing and publishing recipes from scratch! Especially in the early days, just keeping going was a big one! You just have to have faith and do it, even when you really don’t feel like it. Another challenge early on was learning not to take it personally when good friends didn’t read my blog. You have to go out and find the readership for your niche(s). Once I stopped fretting over how many likes I’d had for things on my personal Facebook page, I concentrated on looking wider. And Santé Bon Viveur has grown much better as a result. I’ve also learned to have a slightly thicker skin, and not to be petrified every time I press ‘publish’! Even if you are going at it full time, it generally takes a long time to build up a blog. You might, like me, know very clearly much of what you need to be doing to develop and grow. But you get frustrated that you don’t have enough hours in the day to do it. And you have to have a life aswell, or what do you base your writing on? So I’ve learned to be content with steady growth, and with occasional spurts upwards, as I find the time to work on things. As long as each month I learn some new things, and my website grows a little, then that is fantastic! Whether or not you want to monetise your blog – and however long that may take to achieve – there are many non-monetary benefits to running a blog that make you richer as a person. I’ve already said above that blogging has provided me with a creative outlet, and the opportunity to learn new digital etc. skills. And it’s also given me the opportunity and catalyst to research and learn loads about subjects that I am interested in, and care about. It is a privilege then to have a platform on which to share my newfound knowledge and enthusiasm freely with others. And it’s been a delight whenever I’ve received positive feedback. 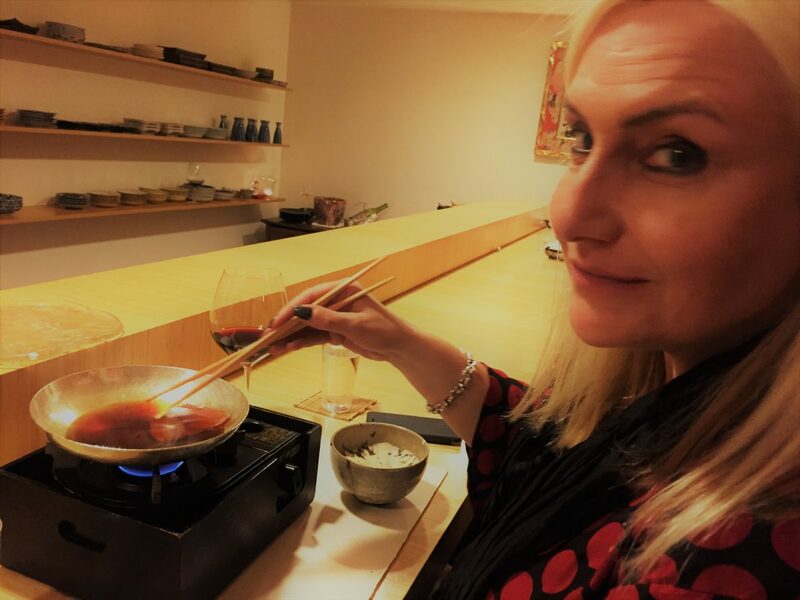 Just knowing that I’ve given a little pleasure to someone who’s tried and enjoyed one of my recipes – or influenced someone to eat a little healthier, or travel to a fantastic place – is massively heartwarming. And for me personally – after years of having to do the bidding of Government ministers, and some managers that I didn’t like or respect – I now have a fantastic sense of achievement from completely owning my own website. I decide its content and direction according to my own rules and what my readers want. And I have built it up entirely from scratch myself. I can’t recommend highly enough the sense of ownership and accomplishment that comes from that! I’ve published 68 blog posts, including this one, in Santé Bon Viveur’s 1st year. They fall broadly into the categories of travel; recipes (mostly low-carb); and nutrition science. If it’s only one of those categories that you’re interested in, then below you can find – for the first time all in one place! – links to everything that’s been published on Santé Bon Viveur in each category. (They add up to more than 68 as some posts appear in more than one category). The recipe I created in May 2018 for Low-Carb Mille Feuilles has been the most popular blog post on Santé Bon Viveur in its 1st year. And 2 recipes were full-on High-Carb! Erythritol is my go-to low-carb natural sugar substitute. My blog post all about it was the 3rd most popular post on Santé Bon Viveur in its 1st year. I won a photography competition in Sicily! What’s New: Is Unsweetened Dark Milk Chocolate the Next Big Thing? What’s New: Unusual Cocoa Beans! And finally, 2 posts, including this one, were Reviews of the Year! Posted on 27 May 2018 29 May 2018 By Santé Bon ViveurPosted in Review of the YearTagged Blogging. Previous Previous post: I’ve Won a Photography Competition in Sicily!! Congratulations on a great year, and a really wonderful blog. I hope to be reading more of it for years to come. That’s very kind, thanks very much indeed Padré! Wow, what an achievement, Valerie! Hope you feel proud of how far you’ve come in just a year. Wonder what you will be posting this time next year? Thanks very much Susan! Yes I’m looking forward to seeing how it evolves and where it takes me this year.